About 382,712 residents of Kansas (13.6%) live below the federal poverty line (the national average is 15.5%).1 While the poverty rate remains below the national average of 15.5%, the median household income is $53,906, which is $2,610 below the national average of $56,516.2 Kansas continues to work toward an improved economy, but 4% of residents remain unemployed, which can put a damper on their ability to afford the essentials.3 And when money is a problem, residents might seek outside help through payday and title loans in Kansas—an option that should be avoided at all costs. The Kansas Legislature continues to fight for Kansas consumers’ best interests. And, while not all of the efforts to pass legislation have succeeded, the fight for progress continues. Kansas state law now has specific guidelines set in place for payday lenders, but additional regulation is still needed to protect consumers from the 390% APR associated with these types of loans. • A title lender may charge a maximum interest rate of 36% per annum. • A title loan may be extended for a maximum of two additional 30-day periods by mutual consent of the title lender and borrower. • After the maturity date and any extensions of the loan, the contract rate of interest can be no more than 3% per month of the loan proceeds. • A borrower can prepay in full the unpaid balance of a title loan at any time without penalty. Title loans are designed to trap a borrower in a cycle of debt (not unlike payday loans), which is why the Kansas State Legislature has attempted placed strict guidelines for lenders through legislation. Unfortunately, though, title lenders have found a way to circumvent these laws and continue to charge triple digit interest rates. Title lenders keep finding a way around state regulations, but the Kansas State Legislature has not given up yet. Legislation continues to fight the predatory lending battle with help from consumers. Whether you need money for an emergency, or you’re just short that month, don’t take the “easiest” option of payday or title loans in Kansas. While Legislation has put regulations into effect, lenders continue to find ways to take as much money from those who need it the most. Lenders must follow the payday and title loan laws of Kansas. However, through loopholes, lenders continue to charge borrowers far more than Kansas Legislation has allowed through regulations. If a lender isn’t following Kansas regulations, make sure to report them. Title loans and payday loans in Kansas aren’t good options for making ends meet. But what if you’ve already fallen prey to predatory lending in Kansas? Reach out and get help. Contact the Office of the State Bank Commissioner in Kansas by visiting http://www.osbckansas.org/ . Once you are on the website, choose the “Consumers” tab at the top of the screen. From there you will select “File a Complaint”. Before filing a complaint, attempt to call someone with authority at the company, such as the owner, president, or consumer complaint specialist to resolve your issue. If you cannot reach a resolution, determine who regulates the entity, complete the Consumer Assistance Form and submit it with any supporting documentation. Outside of the Office of the State Bank Commissioner, you can find help and guidance with the Kansas Catholic Conference. In 2015, the Kansas Catholic Conference began pursuing tougher laws for payday loans because the industry preys on the poor.15 Reach out to the Kansas Catholic Conference to learn more about their push for stricter regulations on payday and title loans in Kansas. With your help, the Kansas Catholic Conference might have a better chance at fighting predatory lending. The payday loan and title loan industry isn’t making it easy on lawmakers in Kansas. With every court case and legislative proposal against predatory lending, payday and title lenders continue to fight back. To help Kansas Legislation continue their battle against payday and title loans, and to better protect you, it is important to reach out. By understanding warning signs, Kansas regulations and where to report a lender or seek outside help, you can help set new laws and legislations in place. 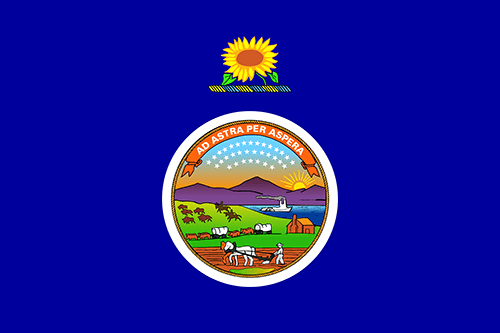 This page is available as a go-to resource for title loans and payday loans in Kansas. Use this page for all the information you need, and then some. You know payday and title loans in Kansas are a problem. But what about at the city level?